This is the best pie I've ever made, probably. It has three pounds of strawberries. Three pounds!! Also, I don't know if I've ever had a strawberry pie before, except strawberry rhubarb pie. I ripped this recipe out of a magazine a while ago and have been putting off making it, thinking this was going to be a big production. After I finished making it, I was all like "that's it?" 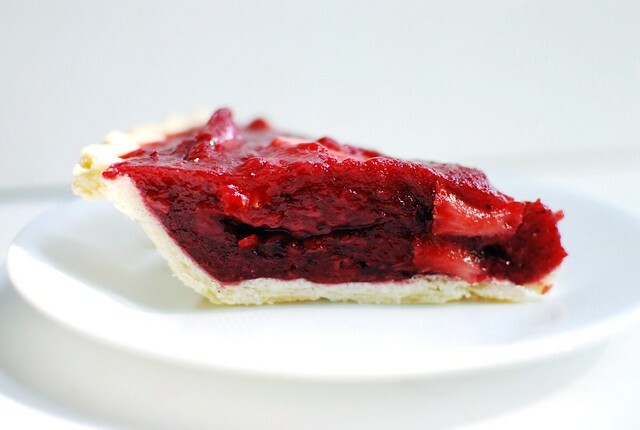 Really, all you do to make this pie is make a thick jam, add in some sugar and gelatin, stir in some fresh strawberries, and pour into a pre-baked pie crust. But you know what? Next time I might not use a pie crust and might do a crushed cookie crust instead. 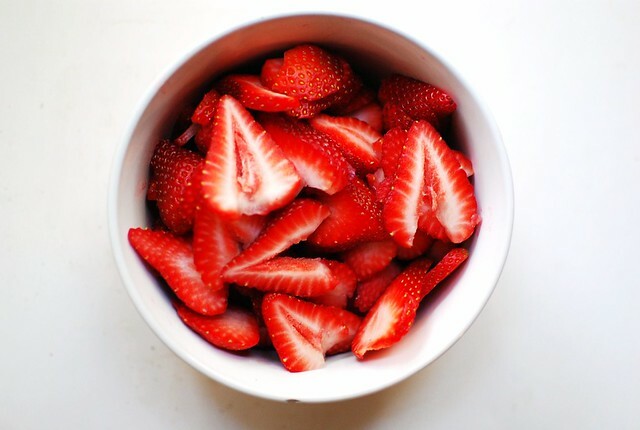 Combine the frozen strawberries and half of the fresh strawberries in a saucepan. 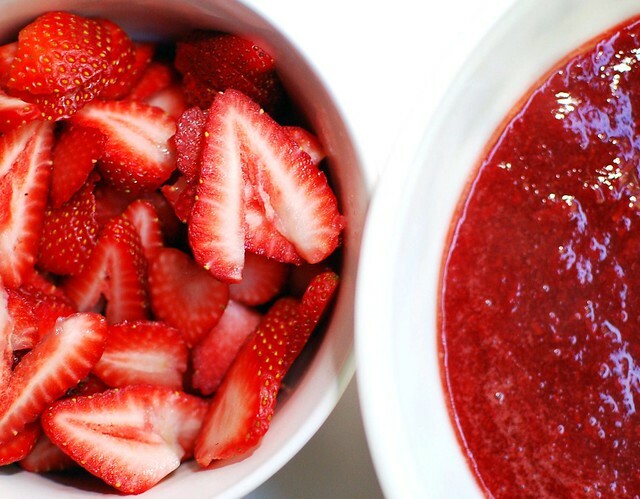 Cook over medium heat, stirring occasionally, until all the strawberries have broken down and turn into a thick jam. This will take about half an hour, which is a good time to slice the remaining strawberries very thin, or chop them up, depending on if you want strawberry slices or little chunks. Measure out the strawberry goo, you should have two cups. If you have more and are sick of waiting, scoop out some until you have exactly two cups. 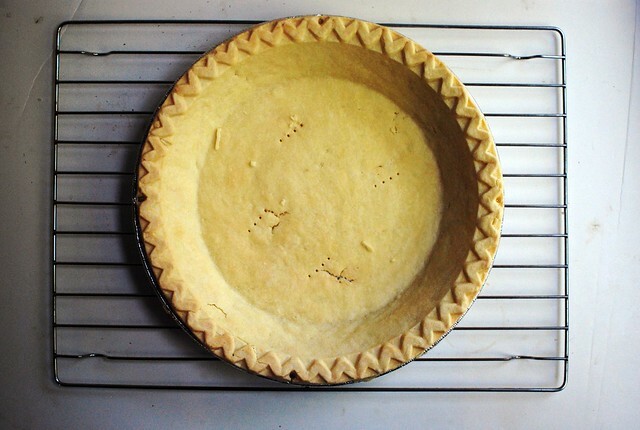 Set that extra aside to either eat with a spoon or stir into some whipped cream to put on top of the pie. Pour the strawberry goo back into the pan and add the sugar and a pinch of salt. In a small bowl, stir together the water, lemon juice, and gelatin until the gelatin is dissolved and starting to thicken, then stir that into the strawberry mess. Heat over medium heat just to a simmer, then remove from heat and cool to room temperature-ish. I didn't wait all that long. 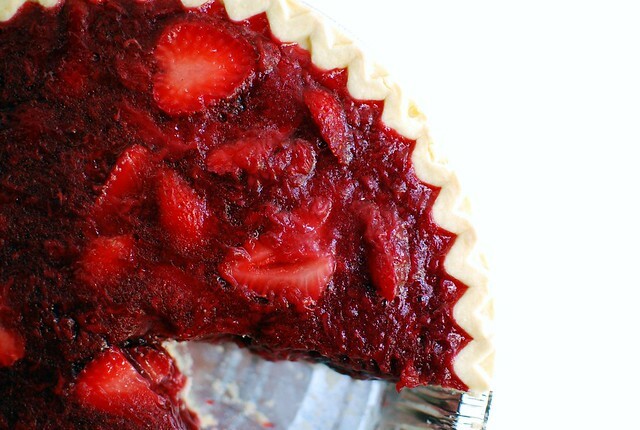 Once the mixture is cooled, stir in the sliced strawberries and pour the whole red mess into your pie crust. Cool until you can't stand it anymore, at least three hours, to let it set completely. Don't wear a white shirt while making or eating this pie.